Now this may look a doddle but try as I might I cannot find either of these lads. Can you help please? 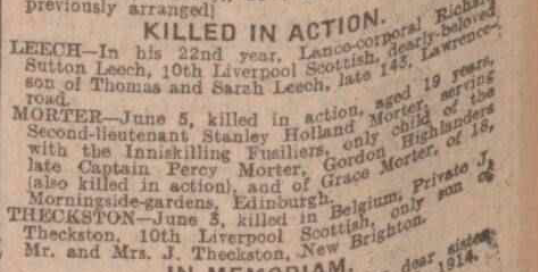 "June 11, 1915;-Father and only Son Killed.Second Lieutenant S H Morter, of the Inniskilling Fusiliers, who was killed in action in France on the 5th inst, in his 19th year, was the only child of the late Captain P Morter, Gordon Highlanders, who was killed last December." I tried lots of different variants with geoff and SDGW without success. Your imput would be so very welcome. Thanking you most sincerely in advance. Panel Reference: Panel 16 and 17. Son of Mrs. Mathew (formerly Mordaunt-Smith), of Rose Cottage, Laugharne, Carmarthenshire, and the late Mordaunt Kirwin Mordaunt-Smith. Hello Andrew, your efforts are very much appreciated, thank you. This seems to be a particularly tricky one. I thought it might be a mis-spelling as there are no Morters in the 1901 or 1911 Census and even t'internet does not help. The above had a brother by the name of Bridgeman and the father was Mordaunt Kirwan Smith so probably not our man. What is your source Tom? Can't find anything on father or son - ancestry, CWGC, TNA, etc. I'm using an iPhone so I give up Tom! Sorry. Thanks for trying anyway lads, I appreciate it very much. This may be unsolvable. Good find, but is there any MIC? Thanks Stephen, at least now I have a first name which is a lot more than I had earlier. Many thanks for all your help. 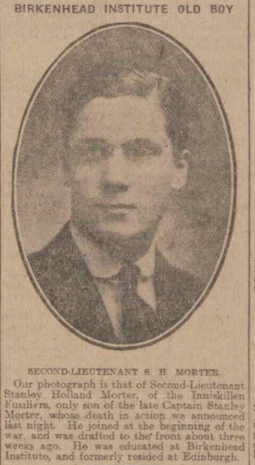 The Liverpool Echo has Captain Percy Morter as killed 19th December 1914, aged 47. Can't find anyone likely so far. Geoff's Search Engine gives nothing, by names, dates plus regiments, part names. Odd! Has anyone access to the Scottish census of 1911? No evidence of Stanley or Percy Morter in the 1901 or 1911 Census for Scotland. I have had a look at the valuation rolls of 1915 and no evidence of the family in Edinburgh in 1915. I couldn't find a commission in the London Gazette. Nothing for either, or anyone named Morter, on the Liverpool Town Hall Roll of Honour (which is far from a complete record). Nothing relevant on the last available census, either. We have all had a thorough search of the usual sources and found nothing for either father or son with the various combinations - Morter, Stanley, Percy, mother Grace, Gordon's, Inniskilling's, etc. I've searched through the Times casualty lists this morning for both father and son and found nothing. The original post by Tom taken from the Irish Independent is of a biographical nature, as are the posts by Stephen in #9 and #10. These biographical details or personal notes were supplied to the newspapers by families of the deceased. I think that either a newspaper got the sons details horribly confused with someone else and other newspapers followed suit, or, dare I say it, this was a hoax of some sort ( I hope to be proved wrong). Thank you lads and lassies, I appreciate each and every one of you and all the brilliant help and goodwill you always show here on the forum. The jury is out on this one for the moment I suppose. I even looked in the London Gazette without success. As Alice in Wonderland would say "curiouser and curiouser"
Kindest regards and thanks again all. I cannot see that anyone has mentioned the Scottish National roll of honour or memorial, which might include an officer of the Gordons. Is it accessible online? How about a search of the Probate Calendar? I do not have access. 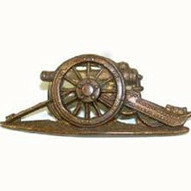 I have launched the subject on a Liverpool family history forum in case their bloodhounds can track the wanted couple.